We are open all day until 6pm for breakfast, brunch, lunch and everything in between and welcome you to enjoy our a little bit of Australia in the heart of Fitzrovia. Great coffee as always. Sweet corn pancakes where delicious. Really interesting menu. Would be nice if see a bit more variety on the menu but great nonetheless. Would recommend. 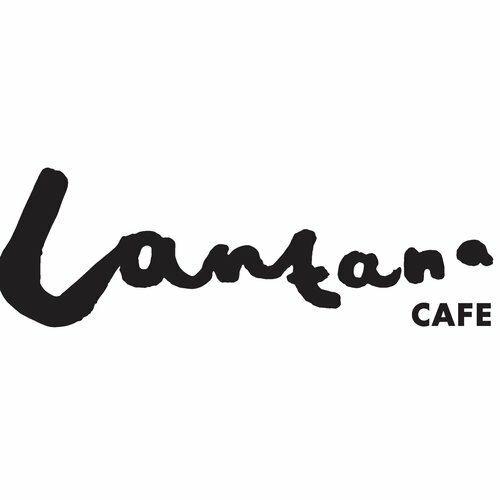 The food was absolutely delicious, original and the presentation was excellent.....wish the Lantana Cafe was local to me. Duck hash is really one of the best breakfasts you can find! Always delicious, interesting food and great service. The food was excellent as always, the staff helpful and welcoming and the coffee is the best in London. The food was excellent! We loved it! Waiting too long to be served and offered a coffee. Then continued to wait another 35 mins before food order was taken. Corn fritters came out burnt (hidden on the bottom), the person I had taken out for breakfast was unable to eat them. We were compensated, though will not return for business breakfast. Food is fantastic! Chicken shawarma grain bowl has a delicious selection of ingridients! Came here yesterday with my daughter. Delicious lunch. A relaxing ambience. The service was incredible - every member of staff took a personal interest in ensuring we were okay and all said goodbye as we left. Assumed 12.5% included service for brunch a bit steep though! Great food! The menu is a refreshing change if you are looking for a breakfast venue! Good service and atmosphere too! Good food, good atmosphere and great coffee. Incredible and friendly service, superb food and above all, best coffee in London! Suitable menu for breakfast though a few smaller & lighter items would have been appreciated. Great staff, buzzy atmosphere, super food and drinks. Will be back! Food was fantastic. The Chicken Shawarma Grain Bowl was delicious and the edamame with cashew mayo great! The homemade lemonade was super bitter (a little bit too much). Overall it was a little bit pricey for a quick lunch but worth it! Lovely restaurant and a great place to grab a quick breakfast. Had largely great service from the staff. However, when we were paying, it felt like the waitress who helped us wasn’t as courteous as the barista and the other service staff. Overall service was neutral. Booked a table for 8 am breakfast meeting, we were the first people seated but the food didn't come till 8.45, so we had to have the food wrapped to take away without eating anything. The two coffees came late and 10 minutes apart. When I asked the staff to adjust the bill I was told that I should expect to wait half an hour,  instead of an apology or recognition that the service that day had just got it wrong. Been lots of times the service is usually friendly but a bit random but this was just poor. Our seating was quite uncomfortable and it was very loud, but the food and smiles made up for it! Such a great cafe with wonderful food. There is limited space so you will sit close to other diners and there isn't any extra space for coats and bags, but overall a lovely place.